Brian Helgeland’s Legend, showing from October 30 in South Africa, tells the story of Britain’s most notorious gangsters, Reggie and Ronnie Kray, as they have the time of their lives, ruling over London in the middle of the Swinging Sixties. Along with Legend, Helgeland wrote and directed the films 42 that includes A Knight’s Tale and Payback, and as a screenwriter he has written many feature films including the Academy Award wining L.A Confidential for which he received the Oscar for his work. Among his many credits are his screenplays for Tony Scott’s Man on Fire and The Taking of Pelham 123, Richard Donner’s Conspiracy Theory, Paul Greengrass’ Green Zone, and Clint Eastwood’s Blood Work, and Mystic River for which he also received an Academy Award nomination. 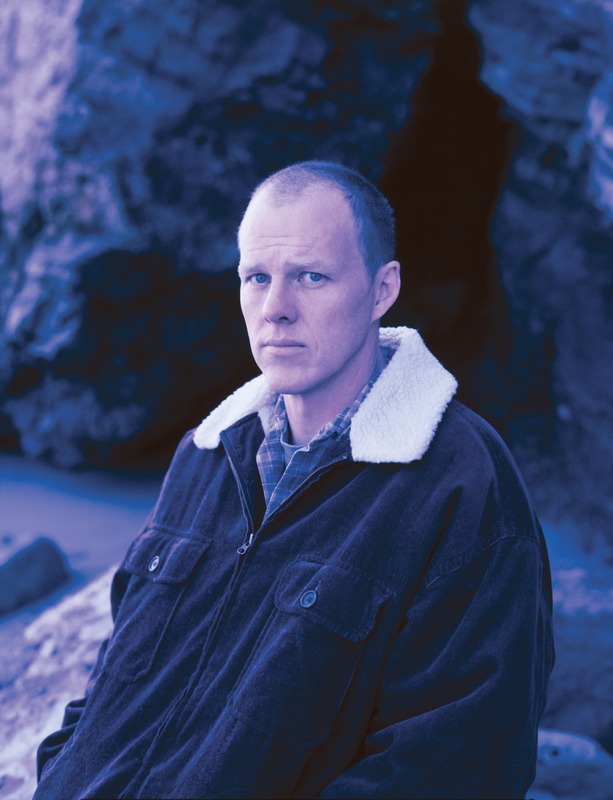 Helgeland is also the recipient of the Writers Guild of AmericaAward, the PEN Center Literary Award, the Edgar Alan Poe Award and the Sidney Lumet Award for Integrity in Entertainment. ”A central question I thought a lot about while making the film was, how can you ever be really sure what the truth of someone’s life was? In the case of the Krays, that truth has been forever lost to 50 years of hearsay and tabloid exclusives. They are part of London and its folklore. They have become a legend. They are at the heart of endless stories of both impossibly psychotic gangsters and, at the same time, 20thCentury Robin Hoods politely holding the door open for Bethnal Green grannies. Their story has been hijacked and retold to suit the storyteller. I am guilty as well. Early on in my research I visited Reggie & Ron’s and Frances’ graves at Chingford Cemetery. A posting had blown off a fence and ended up near their headstones: Warning – Thieves Operate In This Area. I couldn’t help but wonder if it might have meant me as well. This film is my version of the story of the Krays. I’d like to believe that by stripping out the extremes, I’m closer to telling the truth than you might think. One thing is for sure. I couldn’t have done it without the literally multifaceted talent of Tom Hardy. The producer Tim Bevan and I were both keen on Tom. We sent him the script and a dinner was arranged to sound him out. I was intrigued at the thought of him playing both parts, but I knew, at the least, I needed him for Reggie as Reg was the lead of the two brothers. As fate would have it, at dinner all Tom talked about was Ron. By dessert, he said ‘I’ll give you Reggie, if you give me Ron.’ It was the best and easiest deal Tim and I had ever agreed to. In the Swinging Sixties, London was the place to be. Carnaby Street was a cavalcade of colour and celebrities, the Beatles were putting their legacy together at Abbey Road, and the capital was leading the way in fashion, music, film and photography. But the epoch had a dark side as well and the Krays and their Firm were its version of the Rolling Stones. Born in the East End in 1933, Ronnie and Reggie were identical twins (Reggie was the eldest of the two, by roughly ten minutes), who grew up tough on the mean streets of London, and quickly became notorious gang-leaders and criminals with their fingers in a number of pies, including extortion, robbery and intimidation. Maintaining a front as charismatic owners of several London nightspots, the twins courted famous faces (they were photographed by the great David Bailey) and exerted an extraordinary degree of political and social influence which made them nigh-on untouchable by the police. They didn’t just rule the East End; they owned London. And they weren’t just gangsters; they were celebrities in their own right. But then things started to go wrong. In 1966, Ronnie shot and killed George Cornell, a member of a rival gang, the Richardsons, in a Whitechapel pub, The Blind Beggar. The following year, Reggie was left grief-stricken when his wife, Frances, committed suicide. Just a few months later, he viciously killed Kray associate, Jack ‘The Hat’ McVitie, at a party in full view of dozens of witnesses. The Krays’ charmed life was over – in 1968, a long-standing police investigation, headed by Inspector Leonard ‘Nipper’ Read, resulted in the arrest of the Krays and several of their associates. They were sentenced to life in prison for their respective murders. Ronnie never tasted freedom again – eventually certified insane, he spent most of his life at Broadmoor Hospital, before dying of a heart attack in 1995. Reggie was released from prison in 2000 on compassionate grounds; he had terminal cancer that claimed his life just six weeks later. However, even though the Krays had spent half their lives in prison, their legend continued to grow. While the Krays were imprisoned, a subculture grew around them, including dozens of books about their lives. One of the first, The Profession Of Violence, was written by John Pearson, a journalist who had first-hand experience with the Krays. Sensing the opportunity to bring Ronnie and Reggie’s notorious exploits to a new audience, producer Quentin Curtis and his partner, Chris Clark, bought the rights to Pearson’s book. (A previous movie, directed by Peter Medak and starring Spandau Ballet’s Gary and Martin Kemp as the twins, was released in 1990.) “I still felt there was more to say on it,” explains Curtis. That someone was Helgeland, who had previously written the script for Working Title’s Paul Greengrass/Matt Damon thriller, Green Zone. More pertinently, perhaps, he was an American steeped in the tradition of American gangster and crime movies, as director of the Mel Gibson revenge movie, Payback, and Oscar-winning co-writer of the classic, L.A. Confidential. Helgeland, interest roused by his first apocryphal encounter with the twins, had learned more about them over the years, but he admits that Bevan’s vision was what initially enticed him. Helgeland threw himself into researching the Krays and their lives, visiting the locations that defined their lives, talking to surviving members of their crew (and their enemies), including the colourful retiredgangster, Freddie Foreman, and reading everything that could be read on the subject. But there was one aspect of the Krays’ lives that he couldn’t find much on: Frances Shea, Reggie’s ill-fated wife. Everywhere he looked, there was a blind alley. But one day Helgeland spoke to former Kray associate Chris Lambrianou, who took him on an impromptu tour of the Krays’ East End. Again, Helgeland asked about Frances. This time, he got an answer. ‘Frances was the reason we all went to prison’. Reggie, always the most together of the twins (Ronnie, who would later be diagnosed a paranoid schizophrenic, was much more volatile, and was often on heavy prescription medication), began to neglect the Firm.